Diversity is not just skin deep at Woodward North. 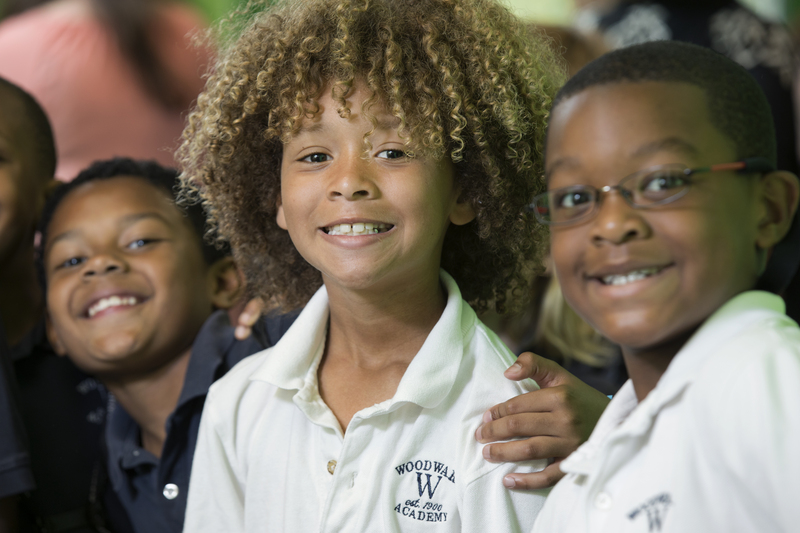 With students from a variety of religious, racial, and ethnic groups, Woodward North truly is a scale model of both Atlanta and the world. Our students bring an amazingly rich variety of perspectives and experiences to our campus to create a dynamic learning environment that provides our students with true perspective—understanding others' and their own views of the world. At Woodward North, our students not only learn about other cultures but experience them daily in their interactions with friends and in their celebrations of special holidays throughout the year including Ramadan, Diwali, Hanukkah, Christmas, Kwanzaa, Chinese New Year, NowRuz, and others. Woodward North's commitment to embracing differences is an intentional one with annual occasions such as Week of Understanding, an Academy-wide celebration of the many and unique differences within our community, an ongoing commitment to being recognized as a No Place for Hate school, and an Anti-Bullying Policy that prohibits the bullying or cyberbullying of any person on our campus.